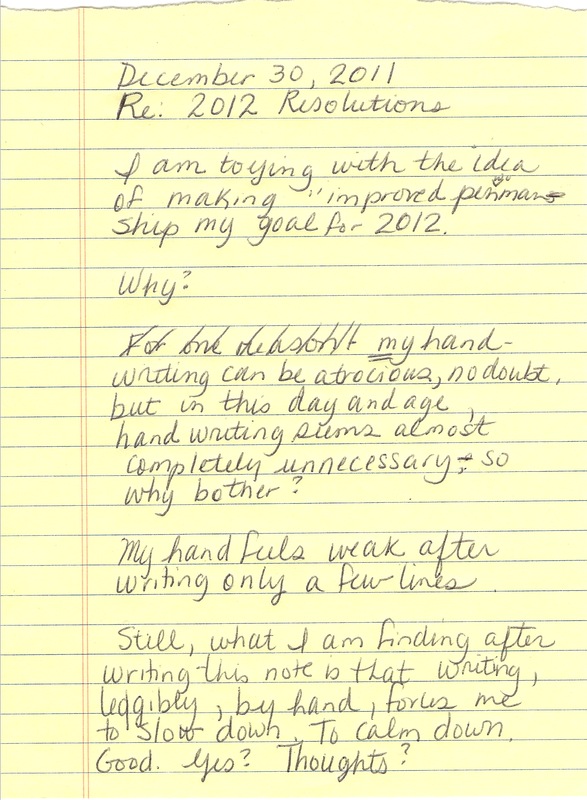 This entry was posted in Uncategorized and tagged 2012, handwriting, new year's, penmanship, resolutions, writing. Bookmark the permalink. ← Find Some Peace Here – Absolutely Free!